Although North Carolina grower James Sharp grew up on the family farm, he chose not to stick around. He forged a different path, starting his own operation, Fresh-Pik Produce, as soon as he left college. That industrious mind-set was a sign of the career to come. 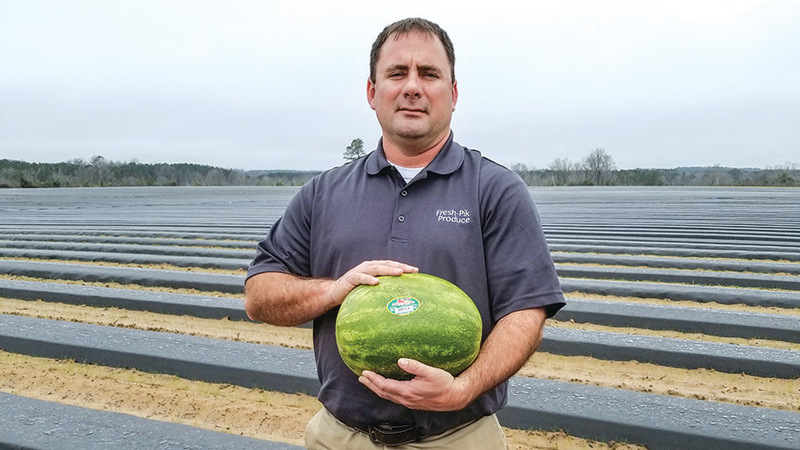 Today he not only manages his farm but also heads up the grower-owned co-op, Southeastern Growers Association, has a packer division, runs the popular farm market Deans Farm Market, and is the current President of the North Carolina Watermelon Association. It’s an innovative mind-set, one much needed in the melon industry. Sharp says there are several issues he and his fellow growers are grappling with. Here’s a rundown on how he’s handling them. When asked about which challenges melon growers face, Sharp immediately named crop prices. “Chain stores are consolidating, and newer buyers are coming in trying to hit goals of previous years of costs. That’s putting the pressure on the marketing side. They want to hit those goals,” he says. At first glance, Sharp says, these buyers hold the cards. That’s where Sharp’s reputation comes in. It allows him to negotiate better prices. That puts the pressure on Sharp and his fellow growers to produce a clean, healthy crop that’s disease-free, packed and cooled properly, and make the delivery. Harvest decisions have a big role in building Sharp and his fellow growers’ reputation. “If it’s not a No. 1 product, it’s left in the field. We growers have to do a good job of leaving the No. 2 product in the field,” he says. Another negotiating tactic Sharp uses is to be up front about increased costs. “Fifteen years ago, seed was pretty inexpensive; production was inexpensive,” Sharp says. Today, freight, labor, packaging, and food safety have driven producers’ costs up sharply. Since 2007, H-2A has been Sharp’s main source of seasonal workers. Having a reliable team back each year is worth the increased costs of H-2A, he says. “These same workers come back year after year. We have an established relationship with them, and they know what we expect for our customers when it comes to harvesting and packing a No. 1 quality product and food safety,” he says. Let your customers know about these cost realities, Sharp says. Sharp handles the marketing for Southeastern Growers Association. 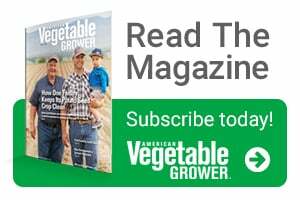 It is a co-op of Eastern North Carolina growers and takes advantage of its collective power. 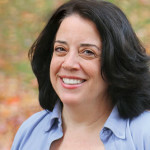 One of its strategies is to sell to a wide array of customer types. “We sell to everyone from chain stores, to food service, to other farm markets. Pretty much cover every aspect and diversify as much as possible,” Sharp says. That diversity helps the group when bargaining. For example, chain store consolidation complicates deal making. “They ask for more produce, but there’s a lot of pressure to keep the prices in check,” he says. The group’s diverse customer base gives them the security they need to negotiate better prices when needed. The way the co-op operates is to both plan on what’s needed to meet demand and make sure production is where it needs to be to ensure they fulfill their orders. Sharp applies the same diversity to his own business, with his cooler, packing houses, greenhouses (for transplants), a farm market, and his production fields. Like all growers, Sharp’s operation has been at the mercy of changing weather patterns. Sharp says the wetter, colder springs and hot, dry summers change what his team produces, and it will likely change his production window. Since the costs of planting a crop in iffy weather are high, Sharp’s operation is beginning to act more like those further north. “If I have to adapt and grow on fewer acres of a product, that’s what I’m going to do,” he says. Sharp has taken on other production methods to counter weather trends. “My farm is irrigated, uses drip irrigation and field sensors that we can check through a cell phone or a computer. We have automated irrigation; we can adjust it to irrigate only what’s needed,” he says.